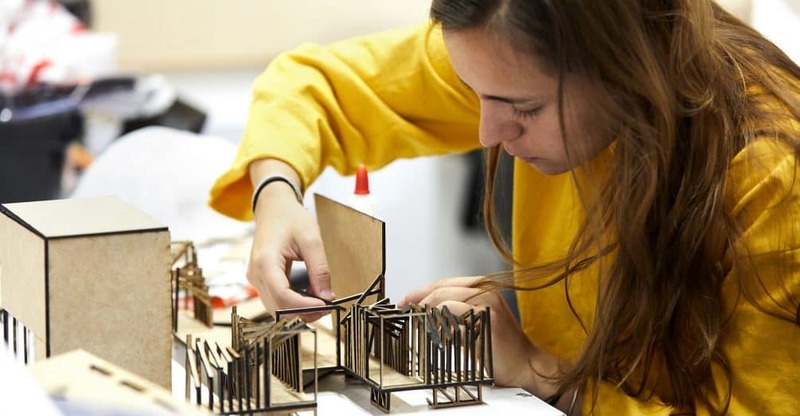 The Fabrication Laboratory, popularly known as the FabLab, is a physical space on the Segovia Campus with both digital and carpentry tools where our Bachelor in Architectural Studies and Bachelor in Design students fabricate and test their ideas. Testing and building prototypes is a key part of the Architecture and Design students’ learning process. 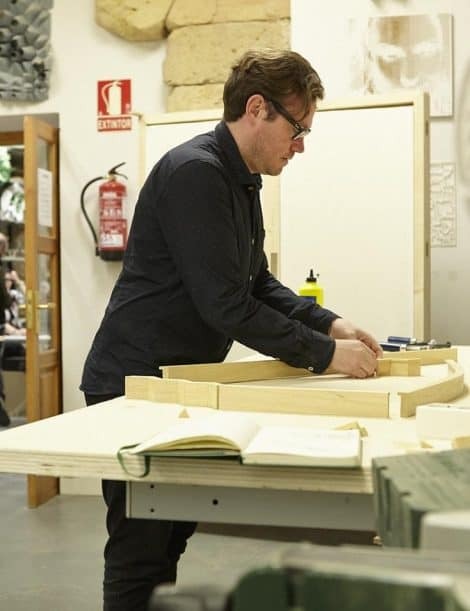 It allows them to continuously experiment with materials and forms: “It’s not enough simply to have a good idea, architects and designers have to think about how those things will actually be made, and there’s no better way to do that than by testing… by actually building prototypes”, according to David Goodman, Director of the Bachelor in Architectural Studies. The FabLab space is divided into two separate sections, the digital lab with CNC writer, laser cutter, and 3D printers, and the more traditional lab, where they have carpentry tools and ceramics. Students are encouraged to think with their hands and their minds in order to represent and test their ideas. The best results often occur when digital machines such as 3D printers, laser cutters and everyday hand tools, are used in an integrated way. Then, the possibilities are limitless. As both bachelor programs grow, so does the FabLab with new machines and tools. 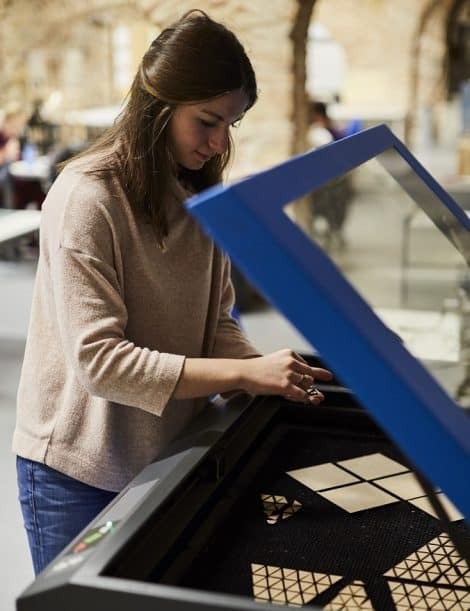 Recently, the FabLab acquired a vinyl cutter, which cuts out two-dimensional designs with great precision, as well as a kiln, which is used for firing ceramics.